Create a symphony of color using your voice! 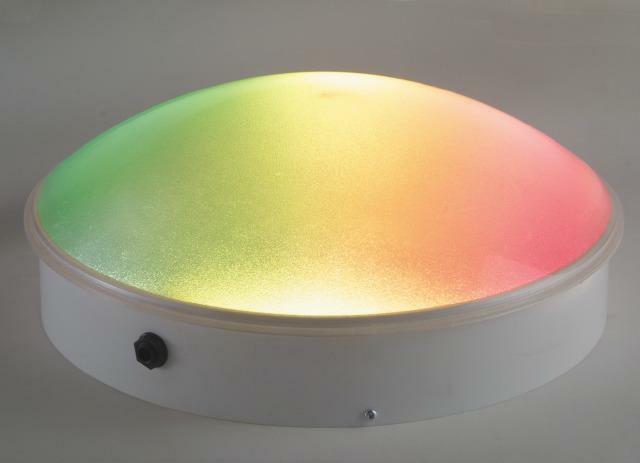 The Sound Light Dome changes color in response to sound. The colors actually relate to the pitch of the sound so whistling gives a different color than humming. The pitch of any noise changes the color of the dome. The loudness of noises will change the brightness. The Dome has an internal microphone and a sensitivity adjustment to suit everyone’s needs. 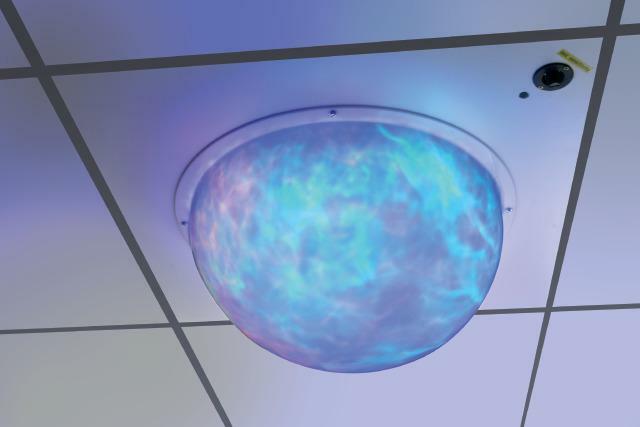 Installation: Mount the Sound Light Dome in a suspended ceiling replacing a ceiling tile. Connect the Power Supply (included) to the back of the Dome and then into the outlet. A switched outlet above the ceiling tile is recommended. If a switched outlet is not available, we recommend using an indoor wireless remote controller which can be purchased at a home improvement store.